Loaded.GG: "It's not about me and it's not about Loaded, its always about the influencers"
Over the past few years, Twitch has taken influence to a new level. With great influence, comes great responsibility. Loaded.GG is a management agency built to nurture and utilise the power that gaming stars yield. Take Ninja for example - the Fortnite streamer has just racked up a record-breaking three million followers on the platform, knocking the former leader Summit1G off the top spot. Both of these are managed by Loaded.GG. Loaded also handles the likes of Dr, Disrespect, LIRIK and FemSteph. To find out more about how Loaded.GG works with such personalities to help turn them into online stars, we caught up with company founder Brandon Freytag about how it goes about its business. Influencerupdate.biz: Can you tell me what Loaded.GG is about and what services you offer? Brandon Freytag: Loaded is a marketing management agency group that is sepcific to gaming, so we represent and work with gaming influencers. I would say predominantly they live on the Twitch platform but we also work with gaming YouTubers as well. The sole purpose of what we do is creative work, merchandise etcetera, but our bread and butter is certainly representing our influencers for endorsements and campaigns and continuing to grow their brand. To be clear, it's not about me, it's not about Loaded, its always about the influencers and making sure we do everything we possibly can to help grow them in every facet that we're part of. What is it about influencer marketing space, particularly Twitch, that excites you? I've been in this space for a very long time, I've played video games since I was a kid, and I was part of an esports team called Evil Geniuses. I did a bunch of sponsorships and endorsements with that group and then I was then a Twitch employee for a little bit before moving on to found Loaded. The biggest thing when you're an agent in any industry is that you need to be a fan of whatever you're representing, or its going to be difficult to really be passionate about what you're doing. So I think the first and most obvious thing for me is that I enjoy playing video games. I think the other part of it is I'm a big people person, and I enjoy the relationships that I built, I enjoy working on something and seeing it grow and helping people grow themselves. How do you think the entertainment industry and the gaming space has changed with the rise of influencers? If you look at YouTube or Twitch or any other similar space, five to ten years ago there wasn't many influencers that people looked up to, or followed their purchasing habits like you you saw with traditional influencers, i.e: sports personalities. Our generation and younger are now growing up with these online influencers and instead of watching TV or a movie, they'll watch a Twitch stream for the day. That is their content that they're consuming. So naturally it's just similar to when you're watching a TV show and your favourite actor is on there. I think over time we'll start to see these influencers gradually do more things outside of platforms like YouTube and Twitch too. YouTube has dabbled with some content creators, making movies and such. Over time that will just get bigger and more accessible. We're starting to see that in the esports space, with Facebook now streaming esports events. I wouldn't be surprised if the likes of Netflix or Hulu started playing in this space too. Can you talk me through a particular influencer campaign that you're proud of? I'm certainly proud of a lot of stuff we've done. On the merchandise side of things we've had our hands in some real 'industry first' campaigns. 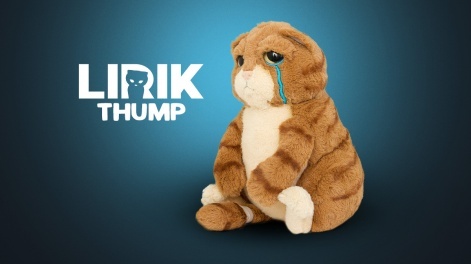 In the streaming world there isn't a lot of plushies, so for example we did a LIRIK plushie based on his cat. We've done cologne with Dr. Disrespect which was kind of a first in the Twitch space too. We've done a ton of different deals too. I don't have any particular one that I'm more proud of than others because we've done so many different things. There's certainly ones that stand out though. 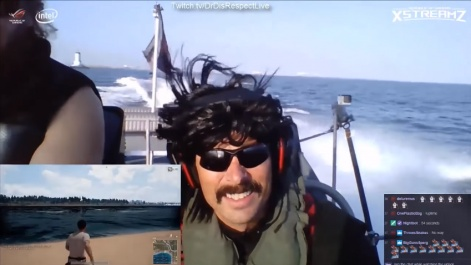 We did a project with Asus and Dr Disrespect around a laptop and he was actually in a boat going 50mph in the middle of an ocean streaming Playerunknown's Battlegrounds. It's the first time anyone's ever done that. That was pretty enjoyable and spoke to the versatility of the laptop first and foremost, but it was also a really fun campaign to run. We also did some commercials with Audio Technica with some of our influencers that were really well produced - similar to commericals that you'd see on TV. They managed to really incorporate the influencers personalities, instead of just being any old face endorsing the product. I think those two projects were pretty exciting. But that said, we work with so many different types of influencers on so many projects that each one of them is exciting in it's own way. What do you look for from influencers seeking representation? It's a mixture of everything. We certainly represent some of the largest streamers on Twitch, but we also represent a lot of mid-tier streamers too. They're great brand ambassadors. For example - Femsteph, she's not getting 20,000 viewers concurrently but the association with her and the marketability of the stuff she's doing is super valuable. it's not about pure metrics driven influencers; if we put a brand in front of them, how are they going to perform with that brand? You don't have to be big to get big results. A lot of brands today see better ROI with smaller influencers because of how they proceed with that particular campaign. We have our own tools - NoScope.io and Twinge.tv - that manage the analytical side of the Twitch world and measure where folks stack up. We do take a look at that to check growth patterns and trends. For example, I signed Dr Disrespect almost two years ago now and he certainly wasn't the size he is now back then. I consider smaller influencers as valuable as the bigger ones, and sometimes even more so. It also gives us the challenge of growing someone in to being the next big streamer. We don't just go after the big boys and girls of the Twitch space, because there's potential everywhere.